I spent nearly 20 years of my life doing things that I am asked and expected to do. I learned things that I am supposed to learn, which everyone around me expected me to learn. I was (am) living in a socially engineered world. I was expected to do well in my academic. The system of meritocracy has confined my full potential instead of unleashing it. I have never (or little known to have) study something for the sake of learning something new. Perhaps, I forgot that I actually did that when I was younger. When I was hungry for knowledge, when I was curious about the world, when I knew I would be happy to learn new things. I am trying so hard to be back to that period of time, to that kind of mindset which would constantly keep me in the mood of learning. But here am I in a university, feeling inadequate in every field, unable to find time to improve on things that I WANT TO. I failed to enrich myself with my passions. There are times when I don’t even know what I can be in the future, nor what I am good at. My time is occupied by things and curriculum planned for me. No one compensates my 20+ years and yet My parents and I are paying for the loss of my precious time. Perhaps that is why those successful entrepreneurs and geniuses are drop-outs from school. Of course, drop-out does not guarantee you a successful life. But since I have already paid the bill, I shall continue this journey for 3 more months. I still have to study for my quiz tomorrow. Make full use out of those plans to minimize the loss for myself. Life of a puppet. How sad. I don’t usually talk much and when I do, I talk quite a lot. Sometimes when I got worn out by work or project, I either get very excited to talk or I can’t think of anything to talk about at all. When talking to senior or a group of people, I would rather be a listener. It’s a kind of respect but it seems to the cause of been labelled as “quiet and shy”. Hey, it has been a while since I last posted something here. Life has been hectic as ever but I think I am still slacking around since I have the time to hang out in SmallWorld. 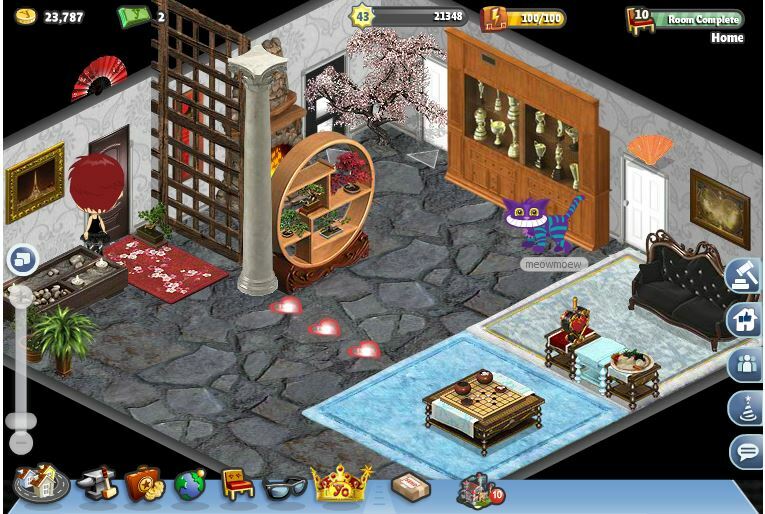 SmallWorld is an online virtual world game where you can design your character and decorate your houses. It has a lot of online players so you can interact with them. I like its idea of “everyone can be a programmer, artist, farmer, or even trader”. I get to know about smallworld 4-5 years ago. I was playing like mad during my Poly internship period as I would skip lunch just to make sure my plants don’t dehydrate. Now that they have develop an app called Smallworld Sidekick which allows you harvest and water your plant anytime and anywhere with your smart phones. Recently, I came back to the game because I was thinking of having a screenshot of a library space for a project. 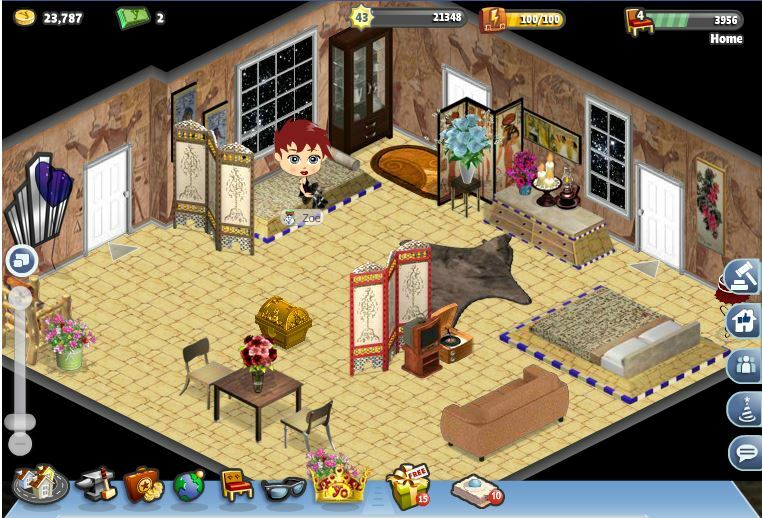 There is another option – Yoville, which I was quite obsessed about it too. 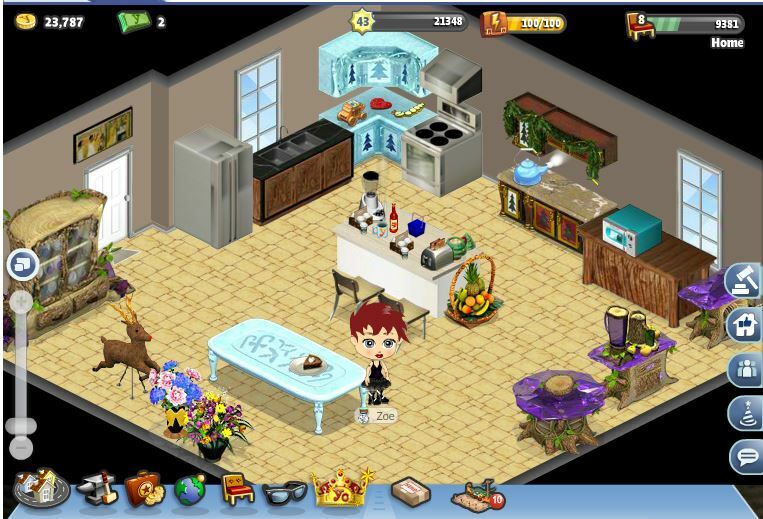 Sadly, Yoville is going down in March. My spaces are quite nice I would say. 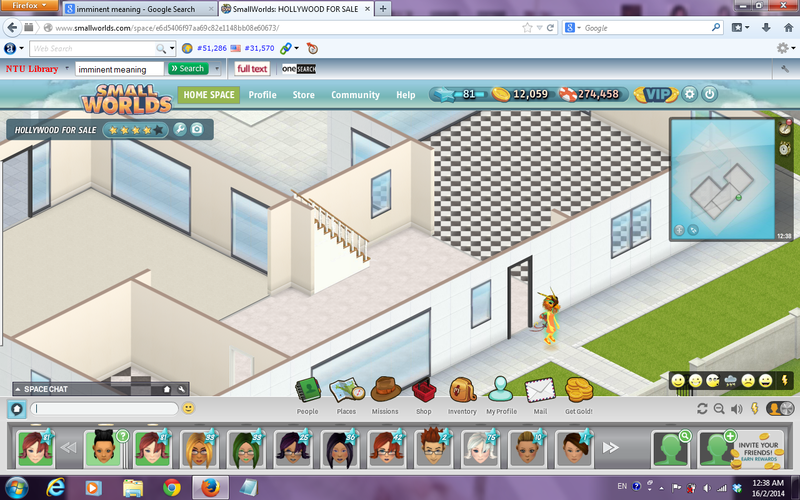 I will take some time to revamp it and spend all my virtual cash like no tomorrow. Of course, screenshot them for memories. 🙂 More to come! I would say I really like the game and its graphic a lot. it’s really sad that this game is coming to an end soon. Please, it is much more fun than Flappy Bird or Candy Crush! 😦 Those meaningless games! A Hollywood Mansion – $6k, not sure if I want to sell it because it’s really nice. With a swimming pool. Anyway, I had another account… and I bought another villa at $3k and intended to do a quick resale but the owner is so kind that he gave me some furniture… so i felt bad to sell it. Duh. But currently all those assets have not been sold yet… I guess i bought them at too high price and now I can only lower down my profit margin. There is a Trading Post in SmallWorld where everyone can go there to find buyers or sellers. There are a few things that I learned from there. I think it’s quite fun and applicable to real life too (since those players are real). Both seller and buyer – Know your price, highest to lowest. Seller – don’t shout your price if you think it is high, get the interested people to ask first. Buyer – say a ridiculously low price after your seller gave a price. Say you saw it from the forum – if it is true, they will lower it. If it is not, get the price lowered down as much as you can. Seller – don’t get conned by those price mentioned by buyers. Keep asking around. People will flock around you giving you better offers. Wear a bird suit. Lol! Attention seeker. Show that you are rich. But it turns out that everyone wants to buy my suit. 😦 I don’t want to sell it though! Seller – Fast deal. Reduce the price to an acceptable amount. If buyer doesn’t want, forget it. Well I do hope that my spaces will get sold soon. 😦 So worried! I haven’t receive my Golds from those stupid offers yet. D: Now I have little cash! !